Its so amazing that sometimes you don’t plan and it turn out to be a wonderful moment :D!!! Monday morning as usual…there was nothing much to do at work…as most of them were dependable on others…so I had to just make sure if they know there responsibilities…as usual I took off from work….with Jagu in the background singing…. 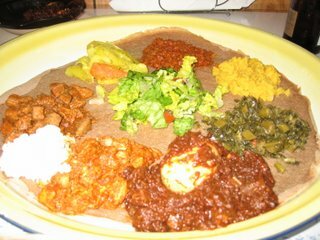 I was thinking of cooking something for dinner…when I got this phone call saying how about dinner out…@ a Ethiopian restaurant….gosh! How can I say no…as I had once and its just so awesome!!! Sahlu Okbato, who emigrated from his native Ethiopia to the United States in 1991, took over the San Jose Coffee Shop on Aug. 16, 2003, adding Ethiopian food to his offerings in late September. Although Sahlu grew up in the restaurant business-his late father owned one in Ethiopia-he had no desire to have a restaurant when he came to the United States in 1991. He knew it would be hard work. 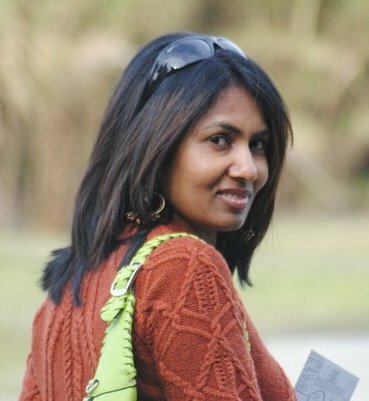 After graduating from San José State University in 2000 with a degree in electrical engineering, Sahlu went to work for Compaq. Two-and-a-half years later, the HP takeover left him exploring his options. Sahlu knew he wanted his own business and listened to friends and family members who told him an Ethiopian restaurant was the way to go. When he saw the current location, he like it and decided to lease it. But, Sahlu gives all credit to his sister, Lomi, who is the chef in charge of the Ethiopian dishes, and whose loving efforts produce the wonderful food they present. That’s why, although he himself works seven-day weeks, he decided in March that his sister deserves at least one day a week off..So, for now Ethiopian food isn’t available on Tuesdays. Yes, for me it was a very nice homely atmosphere where I was enjoying the food and at the same time Sahlu sitting beside us telling about the food, about himself…and how things are similar culture-wise South Asia and so on….! I am going to go there again…n again…but my happiness about this experience had to come to my blog…! It was such an unusual thing that we were not rushed with bill …in fact we didn’t feel as if we were in a restaurant…the ambience is just authentic with Ethiopian art work…in short I was in love 😀 with everything. i hv eaten almost all south east and Asian food..not much African dishes.. How was it…? Hey wow!Have never tried ethopian food…sounds like a novelty..but after your post am tempted to try! heeh!I agree with keshi…my plans always seem to go the other way roundIr lucky that ur plan turn out better! Ethiopian food…mmmm..now in America you find so much variety…….i dont expect to have one such restaurant offering ethiopian food in Pakistan.:(Enjoy!!! Your post reminded me of the contrast with some of the Indian curry houses here in the UK. Gaudy decorations, unfriendly waiters who don’t turn up at first, when the do they try to rush you and food that tastes just the same as the restaurant next door! Memory is a way of holding on to the things you love, the things you are, the things you never want to lose” ~ Kevin ArnoldI remember back in 1989 when I went to Addis Ababa..a great place great food and nice people. People in Ethiopia respect Indians the most as quiet a few teachers are Indians in Ethiopia. My friend was a teacher as well whom I went to visit. Used to go to Piazza every evening have a coffee and pastry. There was a restaurant Umar Khayyam if I am remember it right. back then Mithun Chakrawarthy was very famous with his movies playing in the theatres. Food is definitely a great thing up there..I remember in 7 birs(about US$1.50) we were both full. Injera, Dorowat, Kifto, Segawat and Tella yummmmyyyyyyyyyyyyyyyyyyy. “Be brave. Take risks. Nothing can substitute experience.” ~ Paulo Cohelowat are u doing saturday evening?